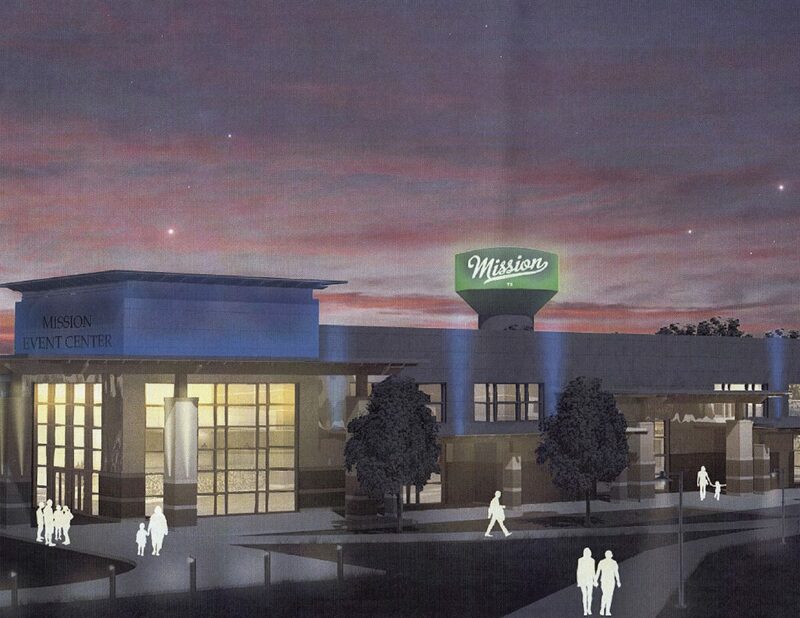 MISSION — The city’s long-awaited new event center is on pace to make it’s debut in the spring. The 40,000-square-foot center, located off Shary Road and Victoria Drive, is expected to open toward the end of April, according to City Manager Martin Garza. The project broke ground in January but in recent weeks, the city has approved purchases of furniture and equipment. Seven salons available will be available to rent. The Lemon, Mandarin, Key Lime and Pomelo Rooms each measure 974 square feet. The Tangerine room is 1,598 square feet, The Orchard is 5,494 square feet, the Ruby Red is 6,679, and the Valencia is 5,605 square feet. 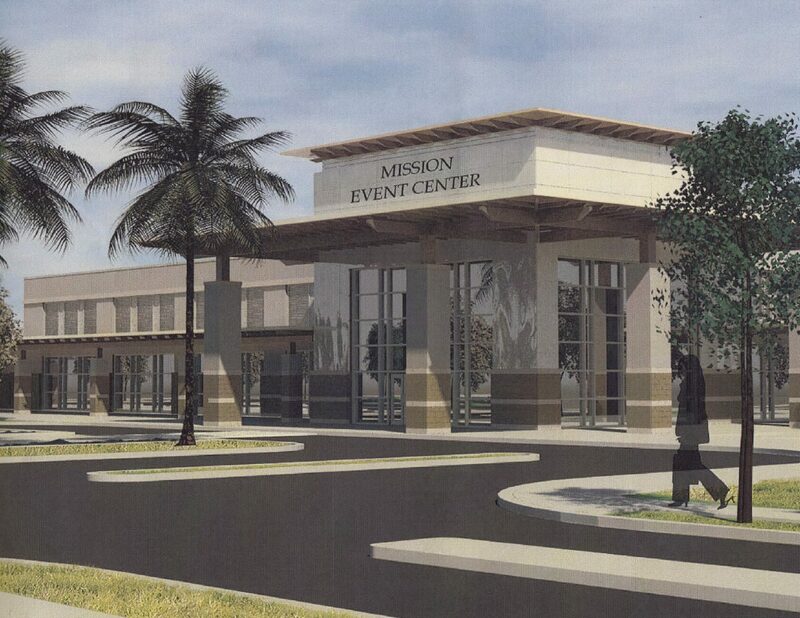 An architect's rendering of the new Mission Event Center. All seven rooms can be opened up to create The Grand Orchard. The names of the rooms pay homage to the citrus industry, vital to the city of Mission. It’s fitting, Garza said, that the center is on Shary Road which is named after John Shary. He is credited with jumpstarting the citrus industry in the Rio Grande Valley after arriving in 1912. The types of events that will be hosted can vary from business meetings, cocktail receptions, formal dinners, trade shows, awards banquets, birthdays, and special performances, according to information listed on the city’s website. During a city council meeting earlier this month, the city also set rental rates for those rooms which differ depending on the category: Mission resident, non-resident, nonprofit or corporate. The cost to use the Grand Orchard — the entire ballroom — ranges from the $2,500 resident rate to the $6,500 corporate rate. Use of the entire facility by a promoter will cost $15,000. The project was financed through a certificate of obligation bond for about $17 million. The 10-acre site sits on a Tax Increment Reinvestment Zone, or TIRZ, which is a political subdivision within a city in which property is designated for new development. The Mission Economic Development Corporation also purchased about 19 acre of land adjacent to the event center which the EDC will sell to bring in retail, hotel and restaurants. The city reached separate agreements with the EDC and the TIRZ by which they will reimburse the city for financing the project. The EDC will pay the city $1 million per year while the TIRZ will pay half a million until the debt has been paid. The EDC’s profits from the sale of the land will also go towards paying down the debt. 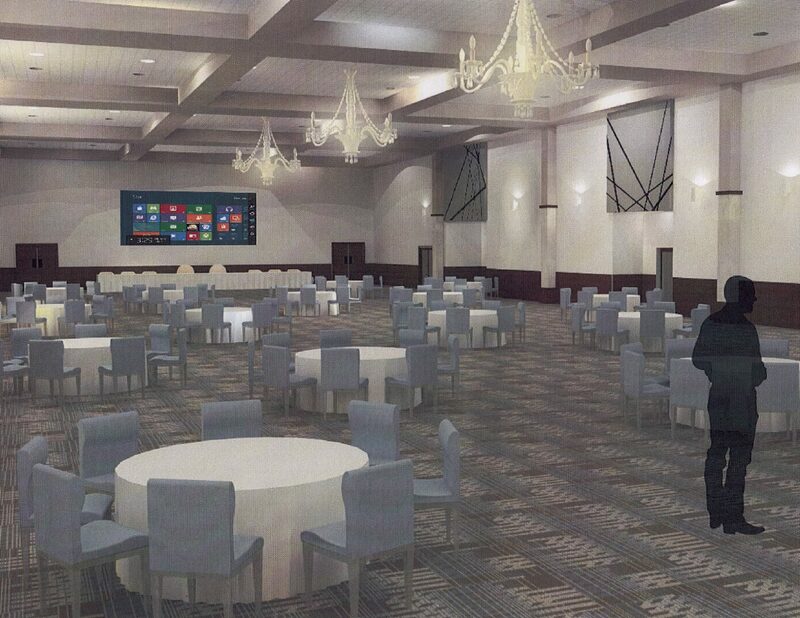 While the grand opening of the event center is still a few months away, Garza said several events have already been booked for April, May and June.